Zeke was a working dog, one I had trained for Missing Pet Partnership to track the scent of lost dogs. You can watch a video here at one of our MPP K9 training sessions where I worked Zeke. Although I only used Zeke on just a few cases (he was forced into early retirement), he captivated my heart and lived out his happy life as an incredible friend. 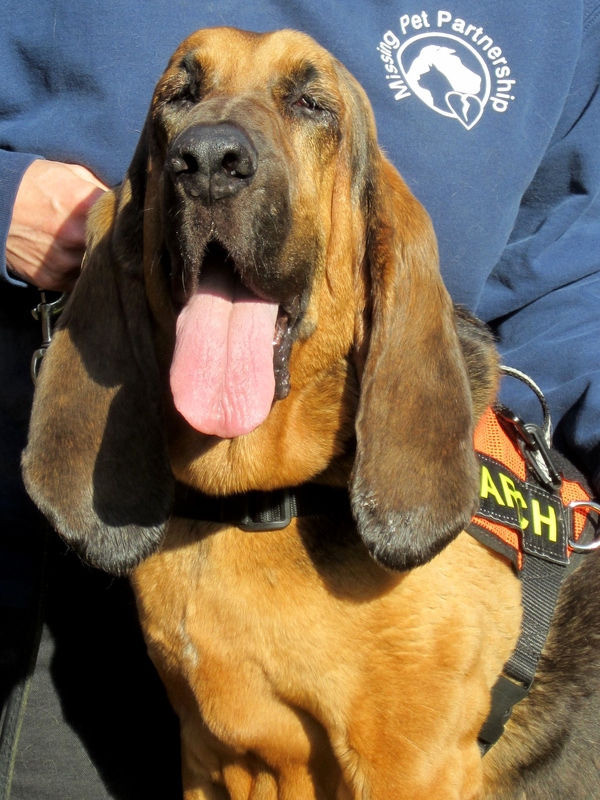 In fact, the novel (Bloodhound Love) that I’m preparing to sell is based mostly on Zeke and his characteristics. It had become my goal to see Bloodhound Love published while Zeke was still alive. Sometimes we never reach our goals. And that’s the point of my blog today–to encourage those of you who’ve set goals and dreamed dreams that were never reached. God knows your heart. He knows your thoughts, your dreams, and your passions. Psalm 139:13-14 puts it this way: “You formed my inward parts. You wove me in my mother’s womb. I am fearfully and wonderfully made. Wonderful are Your works. And my soul knows it very well.” God created me with a passion for dogs and cats. 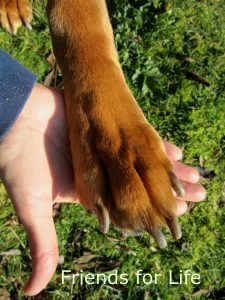 Years ago, back when I was still a police bloodhound handler who spent nearly all of my “off duty” hours in training my police bloodhounds, I began to feel like I was not living my life as a “good Christian” probably should. While people from my church were out praying for the sick and feeding the poor, I was out running behind bloodhounds. I finally came to the place where I said, “God, if you would rather that I give up my bloodhounds and stop focusing on tracking work, I’m willing to give them up for You. I just want you to use my life for Your glory.” What is amazing is that just a few months after I prayed that prayer, my life dramatically changed. In the spring of 1996, my police bloodhound A.J. dug out from my yard and was lost in the woods. I used another search-and-rescue dog to track him down and I had my “ah ha” moment–that dogs could and should be trained to find lost pets. That incident was what set the course of my life on fire for developing what was to ultimately become Missing Pet Partnership and most recently, my new pet detective training academy, Missing Animal Response Network. In His great Mercy, God changed the trajectory of my life so that I not only continued to work my bloodhounds (and my cadaver dog, Rachel) but I was able to start a new career as a pet detective. This work ultimately led to my switching my focus from ME being one of only 2 other pet detectives out there (this was in early 1997) to my focus on training many, many other people and their dogs to offer pet detective services. If you would like to help train people and dogs like Zeke, I encourage you to make a non-deductible donation “In memory of Zeke” thus supporting the mission of MARN (which is to train people and dogs to reunite lost companion animals with their owners/guardians). You can either snail mail a donation check to “Missing Animal Response Network, 424 W Bakerview Rd, Suite #105-360 Bellingham, WA 98226” or you can use the PayPal button on the top of the MARN PayPal page here. Even a small gift adds up and would be greatly appreciated. THANK YOU for supporting my dream and the memory of Zeke. I am deeply sad that Zeke won’t be alive when Bloodhound Love is ultimately published. But the great news is that he lives within my heart and in my memories. I know that some day (when I can afford it!) it will be time to bring a new dog into my life again, creating new joy, new laughter, and new trailing stories to tell. For now I will continue on my quest to get Zeke’s (fictional) story published. Sometimes it takes losing someone special in your life to kick you into gear! Filed Under: Bloodhounds & Scent, Missing Pet Partnership Stuff, My Life!